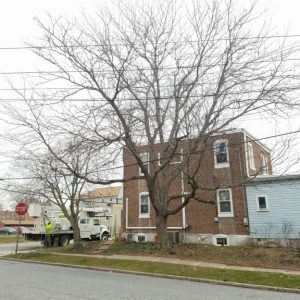 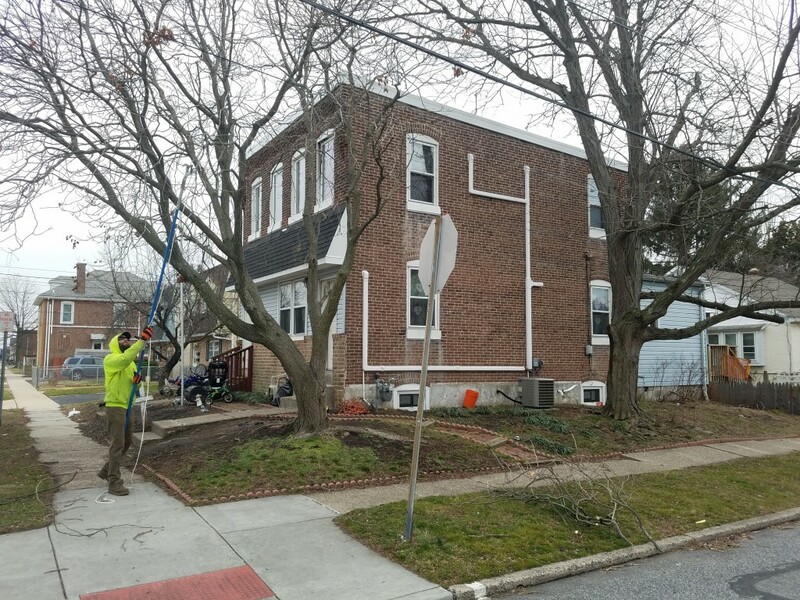 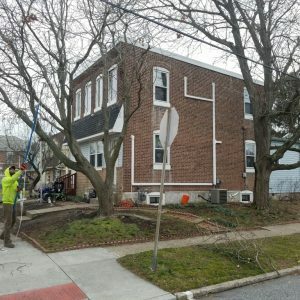 Mr. Tree provides tree removal, tree pruning, stump grinding, and lot clearing to all of Delaware County. 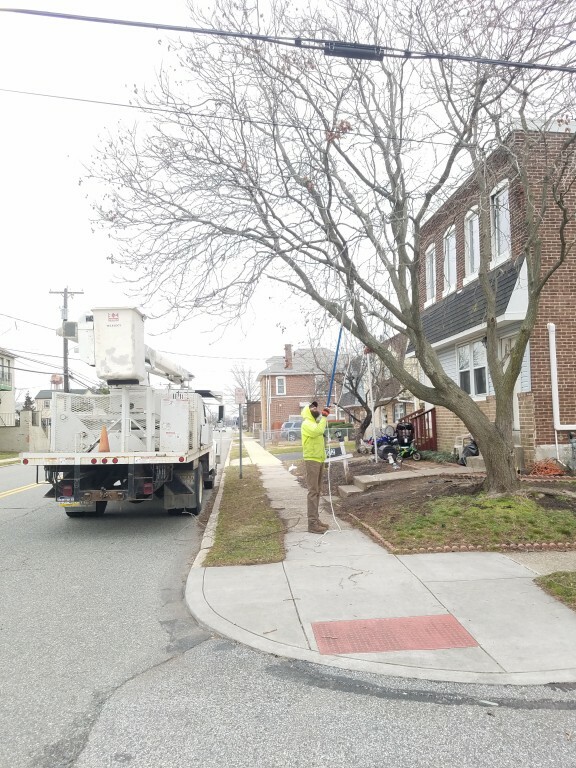 Thanks to our highly experienced team, we can take on any job quickly, safely, and reliably. 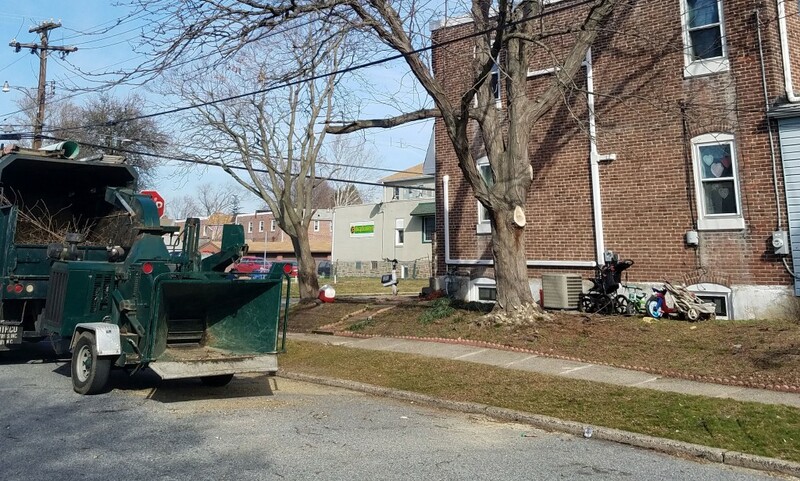 Other perks to working with Mr. Tree include free quotes and 24/7 emergency services. 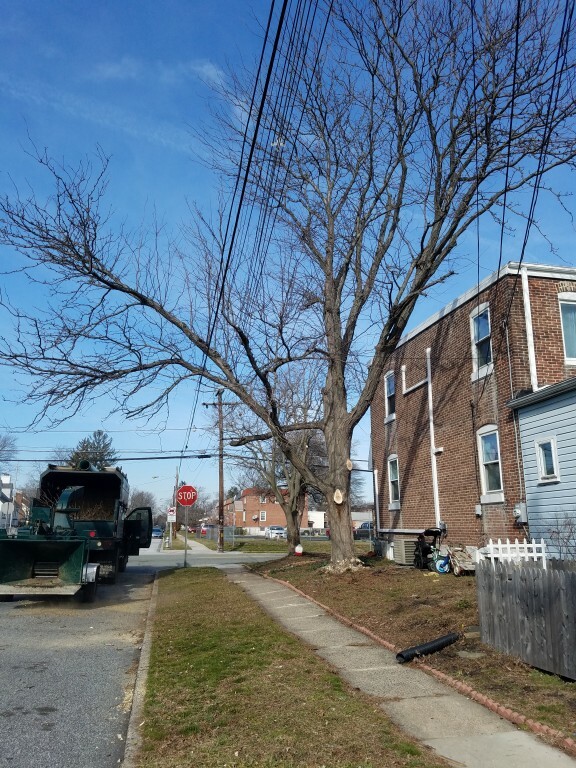 The branches of this locust tree were caught up in the telephone wires and scraping against the house. 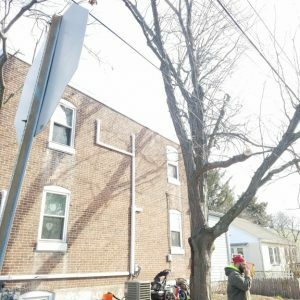 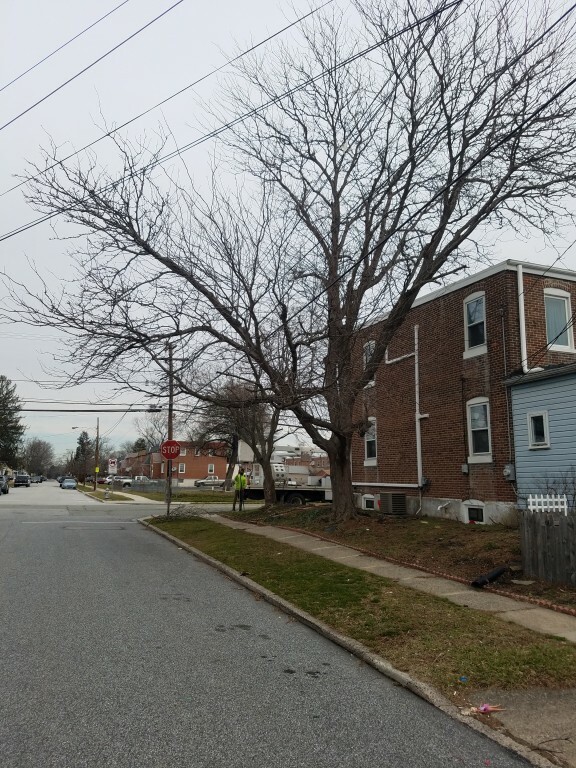 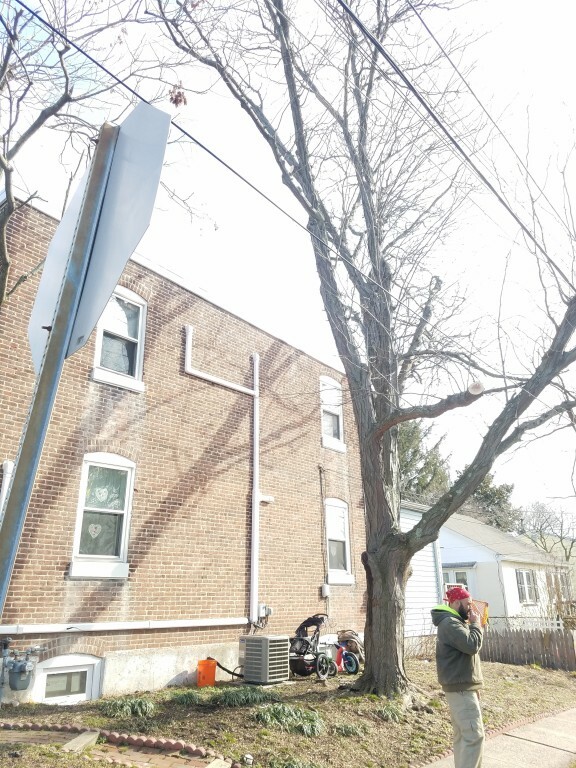 We pruned the tree for this homeowner, and the results should last for the next several years. 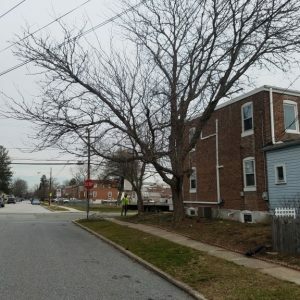 Browse the photos in the gallery below for a closer look. 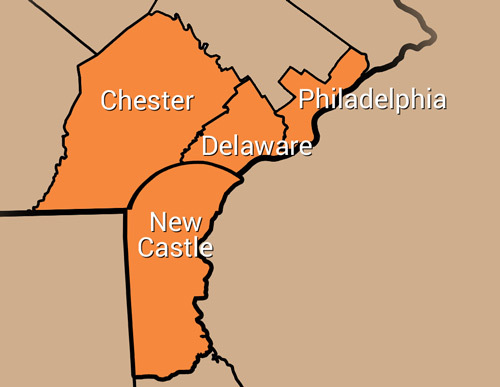 We also serve the surrounding towns, including Goshen and Wallingford. 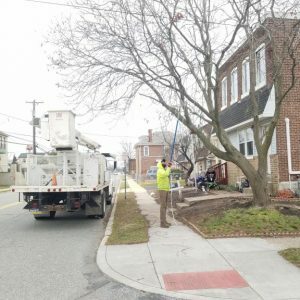 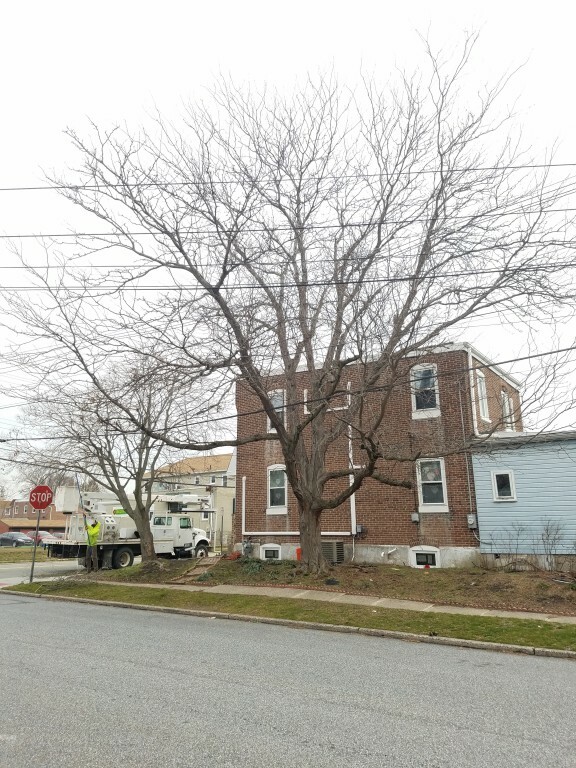 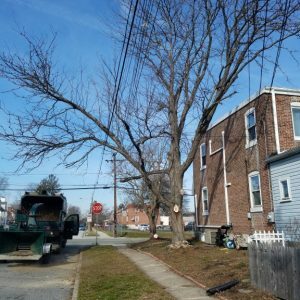 To get your free quote from Mr. Tree, call (484) 999-0040 or fill out our form online.